We’d love your help. 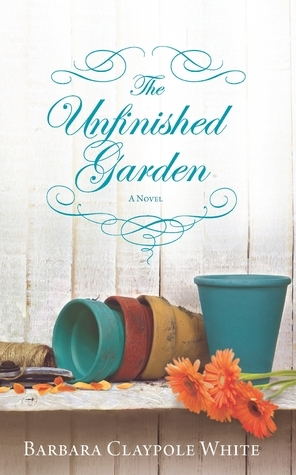 Let us know what’s wrong with this preview of The Unfinished Garden by Barbara Claypole White. James Nealy is haunted by irrational fears and inescapable compulsions. A successful software developer, he's thrown himself into a new goal-to finally conquer the noise in his mind. And he has a plan. He'll confront his darkest fears and build something beautiful: a garden. When he meets Tilly Silverberg, he knows she holds the key...even if she doesn't think so. After her James Nealy is haunted by irrational fears and inescapable compulsions. A successful software developer, he's thrown himself into a new goal-to finally conquer the noise in his mind. And he has a plan. He'll confront his darkest fears and build something beautiful: a garden. When he meets Tilly Silverberg, he knows she holds the key...even if she doesn't think so. To ask other readers questions about The Unfinished Garden, please sign up. Another incredible book by Barbara Claypole White. She is the master of psychology, and an incredible amount of research and study is found in this book. She winds, in a perfect weave, an intense drama of James, an Obsessive compulsive, and Tilly, a grieving widow who appears stuck in the stages of grid developed by Kubler -Ross. There are undercurrents and nuances in this book, which the reader will find haunting. James is consumed by obsessive thoughts. Tilly seems a solitary existence. He seem Another incredible book by Barbara Claypole White. She is the master of psychology, and an incredible amount of research and study is found in this book. She winds, in a perfect weave, an intense drama of James, an Obsessive compulsive, and Tilly, a grieving widow who appears stuck in the stages of grid developed by Kubler -Ross. There are undercurrents and nuances in this book, which the reader will find haunting. James is consumed by obsessive thoughts. Tilly seems a solitary existence. He seems her out to build his garden which he feels will save him. Instead he finds that she will save him. Although her deceased husband was American, She finds she must return to her childhood home in England. Her mother has had an injury and she is compelled to leave her business in North Carolina. There are themes throughout the book which the reader should note. A garden must be tended and nurtured. Without these, plants either and die. Ironic then that a woman who cannot leave her husband's death, She plant and grow flowers. Secrets and connivance also ripple throughout. She finds her first love has returned to the family estate. She discovers her mother has noticed for her return to England. James and Tilly are both unfinished. About fifteen minutes ago I finished reading The Unfinished Garden. Coming to the end is bittersweet, really. For the last week, I've carried Barbara Claypole White’s novel with me everywhere, picking it up in spare moments, even if only to read a few sentences before moving on to my next task. I must admit that I attempted to race through each page, eager to uncover more and more of the saga between Tilly and James; however, I was constantly slowed down by the sheer beauty of the author’s words About fifteen minutes ago I finished reading The Unfinished Garden. Coming to the end is bittersweet, really. For the last week, I've carried Barbara Claypole White’s novel with me everywhere, picking it up in spare moments, even if only to read a few sentences before moving on to my next task. I must admit that I attempted to race through each page, eager to uncover more and more of the saga between Tilly and James; however, I was constantly slowed down by the sheer beauty of the author’s words, the emotional depth of the characters, and the richness of the unfolding plot. I'm so grateful for all that Claypole White taught me about OCD through The Unfinished Garden. I've dreamed of being a writer ever since I was a little girl, and it is truly a joy to come across a book such as this - one that does more than entertain me... one that inspires me. As I was reading, I would often stop just to savor a scene, soaking in every ounce of the vivid description, imagining that I was exploring the Chase or lounging in a lush meadow. The author has an amazing ability to weave words together in a way that feels effortless, as if those exact words were always intended to be melded together into beautiful prose; although, I am sure that the author took great care in selecting each word, each phrase, each sentence of every paragraph, of every page, of every chapter... it certainly shows. Claypole White has created a work of art, a true masterpiece. I love how she eagerly invited me, her devoted reader, right into the thick of the story. Claypole White brought me into the complex minds of James and Tilly, sharing their deepest thoughts in a way that blended their reality with my own. Their honestly often made me laugh out loud, thinking to myself something like "that is so Tilly!" as if we've known each other for ages. The author has created characters that could not be more real if they were sitting with me now, sharing a cup of tea and enjoying the quiet of the evening. 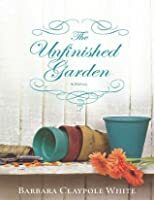 I am a voracious reader, and I can honestly say that The Unfinished Garden is a rare gem: well-written, witty, inspiring, heart-felt, emotional, thought-provoking, and magical. After reading The Unfinished Garden, I only have one unanswered question: "is it too soon to read it again?" This is a harlequin. I did not know that when I started. If you like romance novels, you will likely love it. It is atmospheric, there is good romantic tension, and there are interesting plot devices like OCD and unexplained guilt. That, however, was not what I was looking for. My favorite line, un-ironically uttered by Our Hero: ""You're in danger, Matilda Rose, of becoming my greatest obsession." It pretty much sums the book up. If this book were a movie, that would totally be the tag line. When This is a harlequin. I did not know that when I started. If you like romance novels, you will likely love it. It is atmospheric, there is good romantic tension, and there are interesting plot devices like OCD and unexplained guilt. That, however, was not what I was looking for. When I downloaded this novel (for free, granted) from Amazon, I thought that I was getting a regular novel about a guy with OCD (interesting) and a gardening widow dealing with their lives and growing as people through their interactions with each other while planting. What I got instead was a romance novel. No bodices were ripped, but the romantic relationship was the main (and possibly sole) focus of the book. The only real nitpick I have with the book is that, well, I don't know a lot about OCD, but I was really looking forward to reading a novel in which the disorder is thoughtfully and thoroughly described (see Lisa Genova's novels as an example of this being done well). While I am told that the OCD in this novel is correctly portrayed, it is treated mainly as a plot device. The attention that is paid to it seems to intensify and wane as needed to forward the action and relationship between the two main characters, and isn't dealt with in any real, thoughtful way. For me, that was a disappointment. "The English author H. E. Bates said that a finished garden is a dead garden." She held his gaze and sensed the ebb and flow of her breath matching his. "It'll take a lifetime. A garden's a work in progress without end." I'm seriously going to have to stop underestimating books that masquarade as cookie cutter chick-lit offerings. You know, the ones in laminated paper back on the library shelf with a cute cover. First, it was Heartstone, most recently it was The Unfinished Garden . Meet Matil "The English author H. E. Bates said that a finished garden is a dead garden." She held his gaze and sensed the ebb and flow of her breath matching his. "It'll take a lifetime. A garden's a work in progress without end." Meet Matilda Rose. You can call her Tilly for short. Born and raised in a small village in England, she moved to the United States with her husband as a young adult. They settled in the North Carolina countryside, and had a son, Isaaic. Then disaster struck--her husband, David, lies critically ill in an intensive care unit, intubated. Tilly must decide whether to honor her husband's wishes and inact his living will. Her decision leaves her widowed...and racked with both grief and guilt. She turns to gardening as a panacea for both herself and her son. Fast forward three years, and James moves to North Carolina in an attempt to navigate his difficult past. He battles Obsessive Compulsive Disorder, and is hoping to enrole in a clinical trial at the University of North Carolina at Chapel Hill. He wonders if gardening might give him the mental help he needs while waiting for the clinical trial to begin. His search for a gardening center leads him to Tilly's growing business. Tilly is sympathetic to James, but feels she has too much on her plate to help a needy customer design his entire home landscape. Her mother (still in England), took a tumble thanks to her dog, and broke her leg. It's suddenly clear to Tilly that her mother is aging, and needs her there until the cast comes off. Returning to England brings her back in touch with her childhood best friend...and her first boyfriend. Then James OCD brings him to England (a serious stretch of plausability to be sure), and Tilly finds unexpected comfort rehabilitating an old garden with James. "I will always love your father. But I also believe that the human heart is like a pie." Isaac yawned. "What do we do with our pies?" "Slice them up and share the pieces. You can never reclaim a piece, but there's always more to give. I gave you and Daddy the biggest slices, and one day I might give away more..."
"Will you give James a slice of your pie?" "When you walk away, James watches you go. And then he watches for you to come back. He watches you a lot. Haven't you noticed?" Finally, she did a great job showing more than just a romantic relationship. She explored the love between a mother and her daughter, the daughter and her son, and best friends. Know going in that there is some cussing (it didn't bother me, but is a tad bit unusual for the genre). Given 3 stars or a rating of "Good". Recommended as a library checkout! "To everything there is a season, a time for every purpose under the sun. A time to be born and a time to die; a time to plant and a time to pluck up that which is planted...A time to more on...and a time to say goodbye." I finished this most readable book a month or so ago and have been dilly-dallying about writing a review. Why? I felt guilty. This well-written story had enough psychological tension to inspire me to pick it up over and over to see how single mom Tilly reconciles her present widowhood in North Carolina with her formative past in England, as represented by new-yet-complicated possibility James, and the Englishman who was her hot-yet-unresolved first love. The only thing that keeps me from a five-st I finished this most readable book a month or so ago and have been dilly-dallying about writing a review. Why? I felt guilty. The only thing that keeps me from a five-star rating was Tilly's ever-present and constantly swirling inner monologue, that sometimes had her contradicting herself. I'm all for the type of inner conflict that drives a story like this, and this book had plenty of it, but this inner roiling sometimes had the effect of obscuring rather than defining that conflict. Here's where the guilt sets in: this book is about appreciating the goodness in someone's heart despite individual differences. James, a beautiful character who suffers from OCD, teaches this. And Tilly is as good as they come, keeping an open mind and letting curiosity and the desire to learn trump all. So, she talks to herself a lot. That's her thing. One month out from reading this book, I still think about her, and James, and this "individual difference" is fading from view as the novel's strengths, and message that we all need nurturing so we can continue to grow, grow ever brighter. I just closed the pages of this beautiful book with tears in my eyes and hope for humanity. Set in the US and the UK, The Unfinished Garden is the story of a widow and her son trying to make a new place in the world. Tilly can either choose to recreate her past with an old love, Sebastian, or forge ahead with a new future, and James; neither choice is easy, but one will save her. Dealing with family issues of caring for ailing parents, raising children well, OCD, and physical ailments, The Unfini I just closed the pages of this beautiful book with tears in my eyes and hope for humanity. Dealing with family issues of caring for ailing parents, raising children well, OCD, and physical ailments, The Unfinished Garden takes on multiple life challenges with honesty and clarity. The characters face real dilemmas, and when the novel is complete--though resolution isn't always tidy--it is fulfilling. The garden is the perfect metaphor for the change, growth, potential and obstacles the characters within An Unfinished Garden encounter. Ever changing with the seasons, growing, blooming, resting. All transferable to our lives. But then again, so are life and love works in progress. And as satisfying a thought that is, so is An Unfinished G The garden is the perfect metaphor for the change, growth, potential and obstacles the characters within An Unfinished Garden encounter. Ever changing with the seasons, growing, blooming, resting. All transferable to our lives. But then again, so are life and love works in progress. And as satisfying a thought that is, so is An Unfinished Garden. The book is at it's best when the author just lets it flow. I like the characters of Tilly, her family, and friends, I love the way Jame's OCD is handled, I even liked the stuff about gardening, which isn't normally a topic to draw me. An enjoyable story with some meat to it, and a pleasing romance. I look forward to more from this author. Updated 10/11/2012: Attended a reading/talk last night with the author, in recognition of OCD awareness week. She was amazing, charming, forthright, and eng The book is at it's best when the author just lets it flow. I like the characters of Tilly, her family, and friends, I love the way Jame's OCD is handled, I even liked the stuff about gardening, which isn't normally a topic to draw me. An enjoyable story with some meat to it, and a pleasing romance. I look forward to more from this author. Updated 10/11/2012: Attended a reading/talk last night with the author, in recognition of OCD awareness week. She was amazing, charming, forthright, and engaging. If you get a chance to see hear, you really should. The Unfinished Garden is a beautiful story. I don't read romance but the writing here is so textural and the voice is so rich that I fell into it and couldn't put it down. The story and the relationships have substance and it is the characters' enduring faults and strengths that make them so lovable. An absolutely lovely book, a memorable one. A Recommended Read! A women's fiction novel that brilliantly contradicts uniformity with quirky characters in need of stability amongst their inner chaos. Tilly and James are uniquely flawed individuals whose friendship encompasses more than just a boy meets girl story. This novel unabashedly dives into psychological fears created by death, guilt and OCD, testing friendships beyond the normal range with humor, vivid emotion and understanding. Full review also available at the TBR Mountain Range A Recommended Read! A women's fiction novel that brilliantly contradicts uniformity with quirky characters in need of stability amongst their inner chaos. Tilly and James are uniquely flawed individuals whose friendship encompasses more than just a boy meets girl story. This novel unabashedly dives into psychological fears created by death, guilt and OCD, testing friendships beyond the normal range with humor, vivid emotion and understanding. Full review also available at the TBR Mountain Range, courtesy of Romance Junkies. Tilly Silverberg began gardening to work through her grief after she lost her husband, left to build a new life as a widow with their young son in tow. She hadn't planned to start a business of her own, but eventually, her wholesale perennial business became her livelihood. Her gardens in North Carolina speak of her passion for color and not surprisingly, draw the attention of someone who wants to hire Tilly as his garden designer. Can she let a man into her life and consider a change in direction for a business that she's satisfied with as it is? It has been three years since her husband's death. Is it really time for her to move forward? So far, avoiding people as a plant wholesaler has suited her just fine. James Nealy has hidden his OCD fears and compulsions from everyone in his life until now. Having sold his successful software company and his home in Chicago, he moves to North Carolina with the hope of finally beating his demons into submission. He wants to build a garden to offset his fear of dirt. Once he sees Tilly Silverberg's gardens of chaotic color, he knows she's the one to help him. After meeting Tilly, James is sure she is the answer to everything he wants in his future. James and Tilly are wonderfully damaged characters who will snag your heartstrings from the very beginning of their story. Tilly's son, Isaac, enhances the hilarity of their first meeting and continues to be a catalyst for Tilly's every thought in their future. When Tilly has to rush back to England to help her mother, James follows uninvited, pursuing his wishes without thought about what kind of chaos he's bringing to Tilly's already strained friendships from the past. Will Tilly's friends and family push James away, or see the truth that Tilly refuses to acknowledge? I'm easily drawn to books with "garden" in the title or gardening as a theme. I've always felt the healing properties of being one with the soil and creating something so very unique with nature's help. Naturally, being drawn to THE UNFINISHED GARDEN was inevitable and instantaneous, but I never expected to be enraptured by every emotion this novel evokes. At first, you don't realize how damaged Tilly is emotionally, or how much she needs James in all his self-professed, flawed glory. The humor is what enamored me in the beginning, but it was curiosity and caring generated by the characters through author Barbara Claypole White's unique style that made me race to the end. Tilly and James aren't the only ones grieving for one reason or another. Sebastian, Tilly's teenage love, as well as Rowena, Tilly's lifelong best friend, have almost as many issues to overcome, which Tilly slowly discovers as she tries to figure out just where she and her son belong. For those who understand the longing for your childhood home, a time when memories glow bright and vivid, even if you've made a new place or a different country your home, THE UNFINISHED GARDEN will tease some of those cherished memories to the surface. You can't help but love Woodend and Bramwell Hall estates in England, including their gardens, as Tilly relives her past while trying to heal her future. Landscapes come alive, teaming with nature, vibrantly portrayed by Tilly's observations and memories. The unfinished garden is a contemporary romance filled with characters that are certainly not flawless, they have issues in life and within. We are shown well detailed and in-depth insight into the characters, as well as broaching the subject of mental illness and grief. Tilly lost her husband three years prior and now is now getting on with life the best she knows how and looking after their eight year old son Issac. Tilly is self employed running a nursery and doing what she loves best, being a mum and tinkering around in her garden. However – Life is not like it use to be. She is guilt ridden and feeling somewhat empty. James Neally suffers from OCD – and he has decided that it’s time to take back control of his life or add some normality to it. His Obsessive – compulsive disorder controls his life, and he hopes after meeting Tilly that they both can build a garden and help James get over his phobia. James is successfull in his business, but in life he wants it to steer in a different direction and by meeting Tilly that is not only what he has to deal with. Fixing his phobia - learnig to trust, and learning to overcome the obsticles in life that are challenging him. Upon Meeting Tilly – James feels nothing he has ever felt before within any friendship - Tilly’s Acceptance, and trust easy attitude and ways, James is finds that they form a friendship and closeness like no other he has ever had. After a turn of events Tilly and her son are homebound for England, and here she is confronted with her first love. She is thrown into an emotional rollercoaster and finds out that her also a few truths of her own. As perfect as her ex love may have been her didnt come across as a character I felt compelled to. James follows her, and asks her to help him create a garden or teach him how to. They embark on a friendship confronted upon by their fears, and woes. James wants something Tilly is not sure she can offer him. The guilt she feels stands in her way and fear of loving and losing again. Both are challenged by their state of mind, with emotions and fears entwined throughout the author did a great job of giving us characters that were certainly not flawless but very realistic. I was very surprised that I enjoyed this book so much with the underlying storyline, but I found that it certainly had me intrigued to find out how the story ended and I wasn’t at all disappointed. A fluent flowing storyline that will encapture your heart, mind and have you thinking past the last page. Barbars - the author has given us James, a flawed character, hot, attractive but with issues, kind of freaky – creepy at times. But James Neally was a character with depth and definition despite his issues and despite his ways Tilly accepted him the way he was. Tilly a widowed wife whom is filled with guilt after the death of her husband. She is an easy going character , un affected by James and his creepy ways, taking him with each day as it came , with no judgments what so ever. The Unfinished Garden has two characters with issues, but I enjoyed the way in which the author put forth the storyline. It is a well told story of two people affected by grief, fear, loss, and fear of Failure . She gives the reader insight into someone who suffers mental illness , and acceptance within. Characters that find love amongst each other, while hurdling over many obstacles to find life , love and meaning. A heartfelt storyline, that will have you questioning how meeting someone so flawed can not only save you from yourself but give meaning to three lives. Through "The Unfinished Garden," Barbara Claypole White brings an uncommon depth and elegance to a beautiful love story. The protagonist, Tilly, struggles to move past the death of her husband by throwing her energies into her son, Isaac, and her North Carolina gardening business. When a wealthy and somewhat dashing James Nealy offers an exorbitant fee to landscape his new home, Tilly flatly refuses. But the quirky software developer shows a remarkable persistence, even following her to her child Through "The Unfinished Garden," Barbara Claypole White brings an uncommon depth and elegance to a beautiful love story. The protagonist, Tilly, struggles to move past the death of her husband by throwing her energies into her son, Isaac, and her North Carolina gardening business. When a wealthy and somewhat dashing James Nealy offers an exorbitant fee to landscape his new home, Tilly flatly refuses. But the quirky software developer shows a remarkable persistence, even following her to her childhood home in England when Tilly’s mother becomes ill. There, Tilly reconnects with Sebastian, her first love, who has also returned home. Both men are attractive and vulnerable. James Nealy is a sweet man who confesses to Tilly his OCD which he hopes gardening can alleviate. Sebastian is struggling to find himself after a nasty divorce, still determined to be a great father to his young children. When reading this book, I was engrossed by Tilly’s love interests because they were real, flawed human beings striving to overcome their weaknesses. Unlike many other novels in this genre, I was not sure whom Tilly should or would choose. I was sympathetic to both. To me, that’s how real life is. Nothing is ever so cut and dried. Also, I found both settings—humid, somewhat dangerous North Carolina and the crisp gardens of the English countryside—to be characters of their own. Barbara Claypole White’s descriptions drew me in and have made me hungry for more. I love this book. It is a tender story that has stayed with me, and has me praying for a sequel. This review has been hidden because it contains spoilers. To view it, click here. This book grabbed my heart from the start and didn’t let go until it set me gently down at the end. I loved how the two characters, James and Tilly, danced around each other, came together, drew apart and gradually built connections strong enough to sustain a relationship. The author has a fresh easy writing style and understands the culture of the South as well as the rural English culture of her childhood. The supporting characters are interesting in their own right and the subplots weave a pe This book grabbed my heart from the start and didn’t let go until it set me gently down at the end. I loved how the two characters, James and Tilly, danced around each other, came together, drew apart and gradually built connections strong enough to sustain a relationship. The author has a fresh easy writing style and understands the culture of the South as well as the rural English culture of her childhood. The supporting characters are interesting in their own right and the subplots weave a perfect background to the main story. This is a quiet, thoughtful book, which keeps you turning pages with the depth of the characters and the compelling plot. It’s the kind of book you can’t stop thinking about, long after you’ve turned the last page, my favorite kind of book. Author Barbara Claypole-White has a new book out now and I can’t wait to read it. Have you ever read a book that made perfect sense and hit you in all the right places? Barbara Claypole White’s, THE UNFINISHED GARDEN, did just that for me. This is a wonderful romantic story about James Nealy and his OCD (Obsessive-Compulsive Disorder), panic and anxiety issues and how he finds Tilly Silverberg, a widow who harbors guilt and fears of her own. Tilly is the nursery owner of Piedmont Perennials located in North Carolina, a business that had “sprung out of the infertility of grief Have you ever read a book that made perfect sense and hit you in all the right places? Barbara Claypole White’s, THE UNFINISHED GARDEN, did just that for me. This is a wonderful romantic story about James Nealy and his OCD (Obsessive-Compulsive Disorder), panic and anxiety issues and how he finds Tilly Silverberg, a widow who harbors guilt and fears of her own. Tilly is the nursery owner of Piedmont Perennials located in North Carolina, a business that had “sprung out of the infertility of grief.” James sold his software company in Chicago and made enough money to retire to North Carolina at age forty-five. He’s looking for a landscaper for hire and feels she holds the key in helping him with his obsession with dirt and how it will kill him. In fact, she tells him quite frankly, no, she can’t help him. Unbeknownst to her, he’s immediately captivated by her. As his love for her grows, he thinks she’ll never truly understand him. She has no idea what he goes through every single day with his rituals, checking and rechecking, etc. He thinks she will never accept him as a love interest just as all his other love interests failed, but Tilly is different. She grew up in England, and when there’s a family emergency, she and her son, Isaac, return to care for her mother. She’s glad to get away from James. However, he’s persistent and follows her, even though he’s petrified of flying across the pond. Everything is the same when Tilly returns to her childhood home, so she thinks, until her best friend, Rowena, her former teenage boyfriend, Sebastian, and her mother keep secrets from her. Tilly’s feelings for Sebastian are still unresolved after all these years. Even though she’s forging a new friendship and bond with James, she’s still confused about her feelings for Sebastian. Little by little, she manages to get James to peel his layers, they share their insecurities and make each other face their fears head on. As their relationship develops, they learn they can trust each other and what they truly mean to one another. There were a few quotes that really captured me in this book, such as, “People who need each other, find each other” and “After all, when you cared about someone, you couldn’t rush the learning. It took ten years of watching…” However, Claypole White sums up her whole story with this quote: “The English author H.E. Bates said that a finished garden is a dead garden. It’ll take a lifetime. A garden’s a work in progress without end.” That quote made me realize what the unfinished garden is. Claypole White’s book really resonated with me. It made me think about James’ day-to-day issues and how he strives to resolve them. She captures his episodes with realism, and I identified with what he endures. It’s not easy writing about mental health issues and throwing in a romantic and touching story that just melts your heart. I felt such warmth and understanding for these characters. This is a book that will remain on my nightstand so I can refer to it quite often, and it also falls into another top book I’ve read. Thank you, Barbara Claypole White, for writing this story, and I look forward to reading more of your work. I highly recommend reading this book. The Unfinished Garden is a beautifully written, heart wrenching love story. The novel centers on Tilly Silverberg, a young widow raising her son Isaac. She has a successful business that demands her attention, and which she uses as an excuse to hide from the world, and to escape the guilt she feels over her beloved husband’s death. And then James Nealy, an attractive man who has retired young from his successful business as a software developer, shows up one night at Tilly’s house. James suffers The Unfinished Garden is a beautifully written, heart wrenching love story. The novel centers on Tilly Silverberg, a young widow raising her son Isaac. She has a successful business that demands her attention, and which she uses as an excuse to hide from the world, and to escape the guilt she feels over her beloved husband’s death. And then James Nealy, an attractive man who has retired young from his successful business as a software developer, shows up one night at Tilly’s house. James suffers from obsessive-compulsive disorder, and after years of therapy, is determined to face his fears and create a beautiful garden. He immediately is drawn to both Tilly and her stunning, wild garden, and knows that she must be the one to create his. Although Tilly sell plants, she doesn’t design gardens. And she does not want to deal with clients. But James will not take no for an answer. When Tilly and Isaac rush to her beloved home in England to deal with a family emergency, Tilly is confronted with her first love, Sebastian, who is going through a divorce and clearly never stopped loving Tilly, and Tilly discovers a lump in her breast. In the midst of all of this, James unexpectedly appears at her childhood home. Their relationship is tenuous at first, but as they work together to create a garden, their love also blossoms. As in life, there are no simple characters in this novel, each is layered and flawed, but all are beautifully crafted by the immensely talented author, Barbara Claypole White. In short, I would highly recommend The Unfinished Garden. It will appeal to all hopeless romantics, and to those who just love a beautifully written book with wonderful characters. Picking this one up, I wasn't sure whether I was going to LOVE it or not. I was pleasantly surprised; I enjoyed it a lot more than I thought I would. This was definitely a feel-good read, but it wasn't as fluffy as some romance novels can be (not that there's anything wrong with that!) And when I say "romance novel," I'm not talking about a bodice-ripper. Think of this as more of a Hallmark movie with some mature conversations. What I really liked about this one was that the characters had depth Picking this one up, I wasn't sure whether I was going to LOVE it or not. I was pleasantly surprised; I enjoyed it a lot more than I thought I would. This was definitely a feel-good read, but it wasn't as fluffy as some romance novels can be (not that there's anything wrong with that!) And when I say "romance novel," I'm not talking about a bodice-ripper. Think of this as more of a Hallmark movie with some mature conversations. What I really liked about this one was that the characters had depth to them, which in turn added depth to the story. This is a book centered around a love story, make no mistake, but it features damaged, vulnerable, REAL characters. I adored Tilly, and she is a character that I'm going to remember for a long time. She just had a big personality, and that's hard to forget. I wasn't the biggest fan of James (or Sebastian for that matter), but I still found myself rooting for him. Barbara Claypole White wrote his character in such a way that even though I didn't like him all that much, I still was sympathetic towards him. As far as the rest of the book went, I really loved White's writing. It's not often I can truly sink into a book and picture everything that's going on, and that's what her writing did for me. Her description of England was absolutely beautiful, and it is still a place that is high on my bucket list. Damaged people make for a rich read. I was first drawn to Barbara Claypole White’s debut novel by two things: She writes about damaged people, something I can relate to, and it took her years of hard work and dedication to get her novel published by a traditional house, something else I respect as an author who’s been on a similar journey. What I didn’t expect was to empathize and connect so well with the male protagonist, James Nealy, who suffers from OCD. Although I found Tilly a likeable chara Damaged people make for a rich read. What I didn’t expect was to empathize and connect so well with the male protagonist, James Nealy, who suffers from OCD. Although I found Tilly a likeable character – I loved how she views the world through the eyes of a protective mother - I found myself rooting for James over all the other characters in the story. I also appreciated how the author embedded OCD into the narrative without resorting to clinical info dumps about the disorder. This takes great skill and helped keep the story from bogging down. I recommend “The Unfinished Garden” for readers who prefer stories that deal with real life issues and characters who feel like real people. The Unfinished Garden is so much more than a romance: White writes about two "damaged" people who find each other but must battle their own demons before they find a happily ever after. Tilly has lost her husband but loves her gardening business, and James is struggling with OCD and sees gardening as his shot at redemption. Both good and bad reside in Tilly and James, two very real characters who aren't perfect and know it. Guilt and grief, change and redemption kept me turning the pages of this The Unfinished Garden is so much more than a romance: White writes about two "damaged" people who find each other but must battle their own demons before they find a happily ever after. Tilly has lost her husband but loves her gardening business, and James is struggling with OCD and sees gardening as his shot at redemption. Both good and bad reside in Tilly and James, two very real characters who aren't perfect and know it. Guilt and grief, change and redemption kept me turning the pages of this book. White has an admirable grasp of family dynamics and friendships as well as a haunting sense of place. From North Carolina to England, the land plays its own starring role in The Unfinished Garden. What an incredible journey into the life and mind of a person with OCD as well as the pain and healing of grieve. I could not put the book down! I'd recommend it to everyone I know. The spot-on descriptions of how it feels to be OCD, as well as those about being grief-stricken make it clear that this is a story about people who are incredibly difficult to love. Love, love, love this book! This is another good story by Claypole White, I admire how she writes so openly and freely about mental health. Having a son with OCD certainly gives her an insight many of us don't have. This is a lovely story and one that takes the reader on a journey with the characters. My only critique is that there is just too much detail, to the point I lost the flow of the story many times. However, don't let that stop people from reading it. I love loved this story!!! My first book by Barbara and looking forward to reading more of her books! !